Hero Specialty: Khufra is a Tank with strong CC. who can dash towards enemies and stop enemies from using blink skills. Khufra pulls the bandage on his arms to launch himself in the specified direction, dealing Physical Damage to all enemy units on the path. Upon reaching the furthest distance, or hitting an enemy hero, Khufra will immediately stop and deal Physical Damage to enemies nearby and then knock them up. Khufra uses bandage to wrap himself into a magical bouncing ball, increasing his own Physical & Magical Defense. Enemies trying to use blink skills to move across Khufra will be knocked up. Each time the magical bouncing ball hits the ground, it will deal Magic Damage to enemies nearby and reduce their movement speed. Khufra pulls back all enemy targets around him toward the front, dealing Physical Damage and slowing them down for several seconds. If the enemies are knocked against walls, an extra Physical Damage will be inflicted upon them, and they will be stunned, instead of slowed. Khufra activates the Spell Curse left by Esmeralda every several seconds to increase the range of the next basic attack, dealing Magic Damage and slows them down. Meanwhile. Khufra restores his HP. Each time Khufra uses his skills to control enemy heroes, Spell Curse’s CD is reduced. will be in the Lucky Skin from Jan 5th. 599 Diamonds. Launch week 30% diamonds off. Available from 00:00 8th January (Server Time). Launch week 30% diamonds off. Available from 00:00 8th January (Server Time). Charge: Revamped the skill. Now after using the skill, the basic attack will be enhanced. Use the enhanced skill and dash towards the enemies at certain distance. Meanwhile, the damage has been greatly increased. Adjusted the Base Damge to 250/310/370/430/490/550 from 350/410/470/530/590/650. Adjusted the extra damage equal to enemies’ Max HP to 7.5%/8%/8.5%/9%/9.5%/10% from 2.5%/3%/3.5%/4%/4.5%/5%. Ghost Bursters: Adjusted Cooldown to 7/6.6/6.2/5.8/5.4/5 from 9/8.6/8.2/7.8/7.4/7. Vicious Retrieval: Adjusted the Base Damage to 100 from 80. Chrono Dash: Now the shield effect gained from this skill won’t take account those who are not in the view. Key Insight: Now the passive won’t take account those who are not in the view. Optimized the display and animation effect. Fist Break: Adjusted Base Damage to 120/140/170 from 150/180/200. Fixed a problem where Badang can recall when using this skill. Wind Blade. Optimized the skill designator. Wind Blade – Sorrow: Adjusted the Magical Defense decreasing to take effect before the explosion. Adjusted the slow effect to 60% from 50%. Windstorm. Adjusted Slow Effect to 60% from 50%. Adjusted Energy Regen after hitting an enemy unit by basic attacks to 3 from 4. Art of Thievery: Fixed a problem where the stacks will he reset after upgrading the skill. Adjusted Basic Physical Defense to 18 from 22. Adjusted Basic Physical Defense to 21 from 24. When Lapu-Lapu has 5 stacks of Bravery Blessings, a blink can be used. Revamped the skill display effect. Molina Blitz: Increased the display effect of attack range. Added display effects of allied and enemy skills. Fixed a problem where his recalling will be interrupted when closing [Ring of Punishment]. Fixed a problem where his recalling will be interrupted when canceling this skill. Fixed a problem where his recalling will be interrupted when devouring an enemy unit. Now you can purchase jungling equipment directly when tapping on the jungle guide in battlefields. Optimized the HP Bar in battlefields. Optimized the HP Bar display effects of Creeps, Lord and Turrets. Adjusted the HP Bar display of non-hero units: Now all the Creeps including the Lord and the Turtle will show their HP Bar only when they’re not in full HP. The HP Bar of Turrets will show only when it can be attacked. Crammer: Adjusted the chasing range to 500 from 600. Lord: Adjusted the chasing range to 460 from 500. In Evolve mode, players can get chest points. EXP and BP as usual. Data in Evolve mode won’t be accumulated to unlock achievements And the data won’t be recorded in Profile and Leaderboards. During the event period (7-day), players can pay a certain amount of Diamonds to upgrade their permanent Skins. The original Skin will deduct certain amounts of Diamonds. After a successful upgrade, the original Skin will be recycled, disappearing afterwards. Complete tasks and claim Dice. Play it. gain progress and win rewards! Each time you finish a round, an awesome reward is guaranteed! Tap on Get Dice or the Arrow on the right to open the task page. Complete the tasks every day to claim Dice. The tasks will be refreshed on a daily basis. Each time you throw a Dice. Harper will move the same number of steps as the number you rolled. When you move to a certain cell, the rewards will be sent to you immediately accordingly. When you finish a round, you will get the rewards for this turn. The rewards will be refreshed once claimed. The fifth round completed guarantees a New Year Skin Bundle. which contains a permanent Skin. 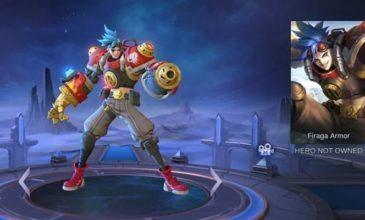 The Heroes and Skins that have already been owned will be turned into fragments automatically. The Dice will be deleted automatically after the end of the event, and the unused items will be turned into a certain amount of BP sent by email to your inbox. Now a button that directs to the Practice Mode is added when you use the trial cards or obtaining a new hero. Now the map in the Practice Mode will be the one that you have frequently used. The original Squad UI is turned into “Contest” system, which contains the current online esports – Conquest of Dawn and National Contest. Squad is now in the Contest UI. At the entrance of it, the member list will be shown. Tasks will be hidden in the modes that are not counted in the Mastery Code. Fixed a problem where hero tasks will be shown when opening the score board in the Live Stream. Optimized the chat system in the post-battle interface. Added different quick chats. Optimized the display in battlefields. Added the Spawn and Recall display effect. Optimized the Mentor & Apprentice invitation: Now the notification won’t be shown when the lobby is full of members. Returning player optimization: the scores can be accumulated. All the events ever since can share a same VIP score. Optimized the display of Leaderboards.